It’s National Volunteer Appreciation Week, and we at Calvary Women’s Services join the rest of the country in commending volunteers for the vast impact they have in their community by sharing their time and talent. Calvary’s dedicated team of volunteers helps every single day in a multitude of ways. They serve meals on site to women at Calvary, assist in administrative tasks, join crowd-funding campaigns, teach LEAP classes, host game nights and book clubs, and even stay overnight to supervise our programs! Last year, over 300 Calvary volunteers donated over 5,000 hours of volunteer service, and we are so grateful for their service! Our committed team of volunteers is essential to the success of our programs, and their presence on site let women at Calvary know that someone cares. The time and energy they invest in our programs has an incredible impact. 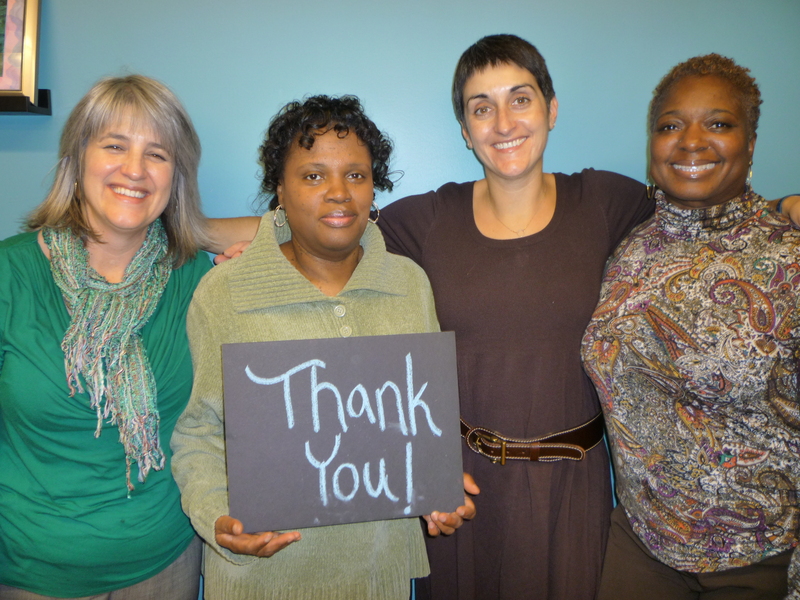 To our amazing crew of volunteers: thank you! We hope that you remain part of the Calvary family for many years to come! Check out what some Calvary residents and staff have to say about these friendly faces below.